Bekaert Building Products has been at the forefront of masonry reinforcement design and product development for over 80 years. Brickforce® has been in continuous use since its introduction in 1918. 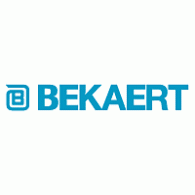 To cater for the increased use of masonry construction and to offer masonry reinforcement solutions for modern build requirements Bekaert continues to develop its range of products. Bricktor® CCR and Bricktie have been designed and introduced for specific applications. Following the introduction of the BS 5628-2 reinforced masonry design code, Bekaert introduced an extensive Brickforce® range which continues to be unique and unequalled for reinforced masonry construction applications.